Koalas are one of Australia’s most iconic creatures – make some new furry friends among the gum trees of Mikkira Station. Dive at the opportunity to go on a watery play-date with some friendly sea lions, seeing who’s got the better moves in the waters around Hopkins Island. 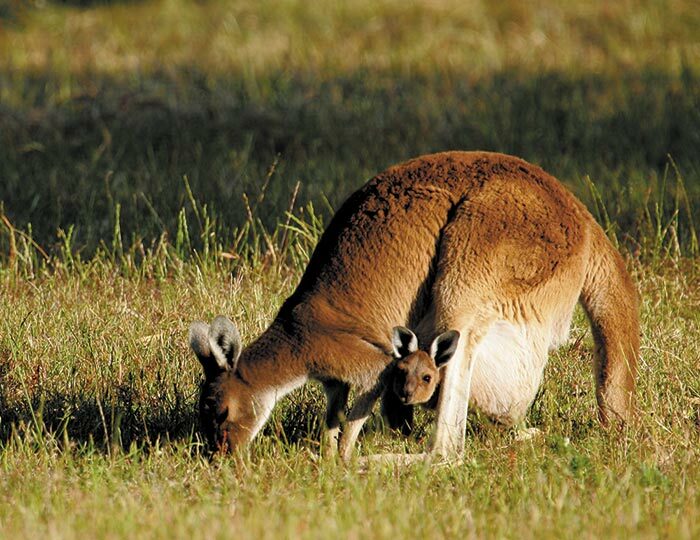 Hike through the dense Australian bush and the spot native wildlife that inhabits the area. Get active on South Australia’s Eyre Peninsula and get among its beautiful scenery, fascinating native wildlife and plethora of exciting activities on offer. For the adventurous, choose to swim with playful sea lions, while those seeking a little rest and relaxation can enjoy calming boat rides and secluded bush walks. Meet some of Australia’s famously unique residents, including kangaroos and emus on land, then soak up the serene ocean atmosphere while cruising on a series of catamarans, ferries and boats. Welcome to Australia. Meet your group early this morning for pick up at 5am in Adelaide. Head north around Spencer Gulf, headed for the Eyre Peninsula, driving via Port Augusta and Whyalla. The Eyre Peninsula is one of those great Australian secrets that many people haven’t yet discovered, thanks to the lack of a major airport and too long a drive for most domestic travellers. It’s teeming with some of country’s most amazing and outstanding real wildlife experiences. It’s the kind of place that will give only those that have been a knowing smile, the smile that you've discovered a very special place indeed. After you arrive in Port Lincoln and check into your accommodation, head out to Mikkira Station. The property of this historic homestead is littered with Giant Yakkas and Manna Gum trees. The gums leaves are the favourite food of koalas, so crane your neck on a walk around the property and see if you can spot these furry little guys up in the branches. Notes: Total driving time today is approximately 7 hours. 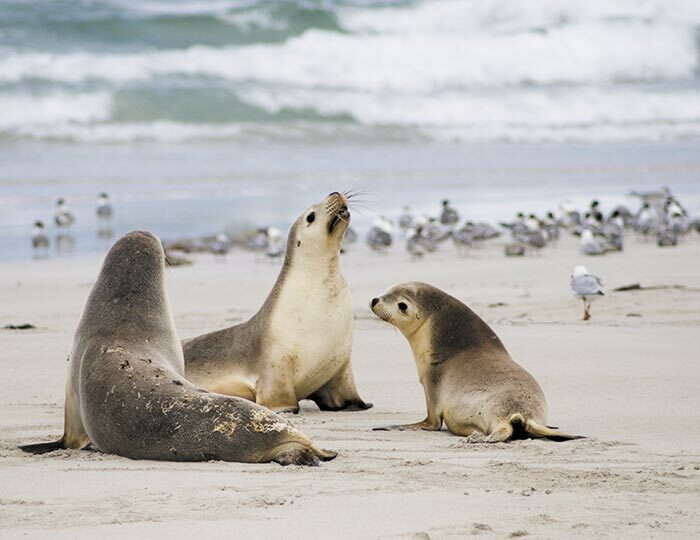 You will visit Whalers Way Conservation Park for spectacular rugged coastline, Lincoln National Park walk Stamford Hill (where you’ll hopefully spot some kangaroos and emus), Fishers Bay and swimming in the pristine waters of the Southern Ocean. We visit Wadlata Cultural Centre and have an interpretive walk through the life of the new frontier pioneers of South Australia. After breakfast this morning, head over to the marina, where you can choose to cruise out to Hopkins Island for one of Australia's most unique wildlife experiences – swimming with Australian sea lions. This memorable activity involves a half-day boat cruise out to Seal Cove at Hopkins Island, where you’ll don a snorkel and dive into the water after a short guideline and safety introduction. Wild but not shy, these new flippered friends will often bound into the water, keen to show you their tricks – they duck, dive, roll, race, somersault and swirl in their efforts to show off. There is nothing that can parallel the feeling of swimming among these inquisitive, gentle creates, communing with the ‘puppy dogs of the sea’.